Sold by DJ GUYS and Fulfilled by Amazon. Gift-wrap available. Sold by DJ GUYS and ships from Amazon Fulfillment. Adding value to your purchase, Austin Bazaar bundles your instrument with necessary accessories. Everything you need to start playing immediately comes in one box. Save yourself the hassle and save some money while you're at it. 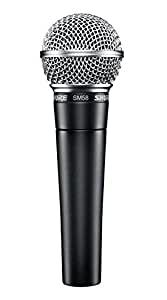 The legendary Shure SM58 vocal microphone is designed for professional vocal use in live performance, sound reinforcement, and studio recording. Its tailored vocal response for sound is a world standard for singing or speech. A highly effective, built-in spherical filter minimizes wind and breath "pop" noise. A unidirectional (cardioid) pickup pattern isolates the main sound source while minimizing unwanted background noise. 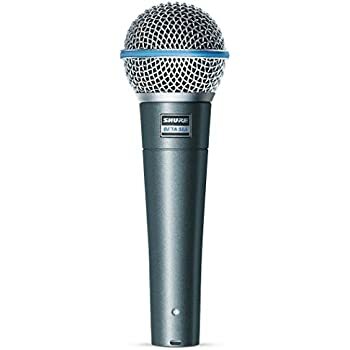 Rugged construction, a proven shock-mount system, and a steel mesh grille ensure that even with rough handling, the SM58 will perform consistently, outdoors or indoors. Very happy with this microphone. Mic 1 of 3 in my broadcast studio. Reliable. Well built, and sounds great. The go-to mics for every occasion, the only piece of equipment that refuses to die. I always come back to these. Sound-wise it's a matter of taste, maybe a bit outdated, but if bullet-proof is your goal, look no further. This is manufactured in Mexico (2017). Comes with a very sturdy clip, nice bonus. 5.0 out of 5 starsSm58 Powers activate!! 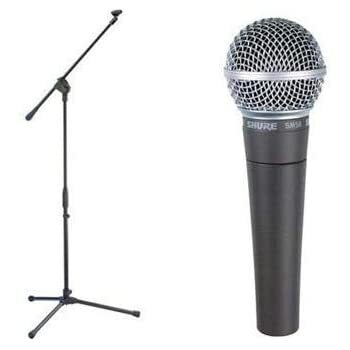 I’ve been using this mics for more than 10 years. You might know the high quality product this is. 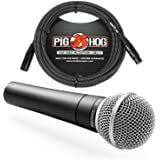 If you don’t, it’s one of the best PROFESSIONAL GRADE performance mics you could ever buy. 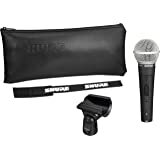 I a-SHURE you won’t regret this purchase. 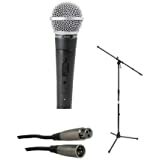 Perfect for recording or performing. I wasn't sure what to expect with this being my first mic. It feels sturdy and the speaker grid cover can twist off for cleaning if need me. This did come with a mic clip for me in case you didn't know, so it can work with a mic stand immediately as it arrived. What to say? 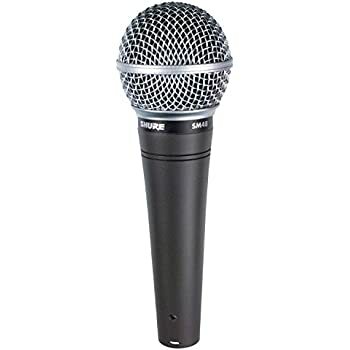 It’s a Sure SM58! It’s a workhorse! It’s a tank! Takes a beating and keeps on singing. 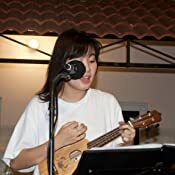 I had a SM57 for about 28yrs. Only reason I’m replacing it is because I lost it in my recent move. I no longer play out live so I don’t have the need to mic a guitar cabinet, I mainly play in my small home studio with software instruments and a Mac. 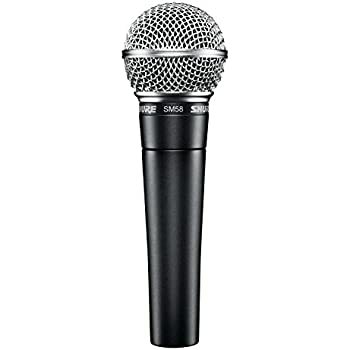 This is a great mic. Highly recommended. 5.0 out of 5 starsClassic sound, classic price, classic quality, I love classic. 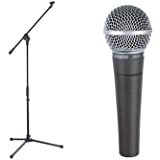 I've used countless microphones as a performer and a soundman. 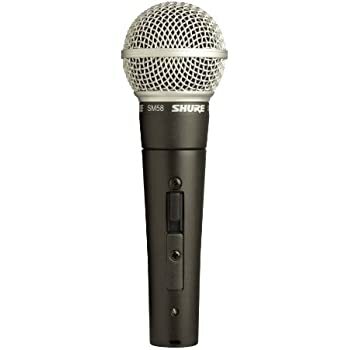 I love the Shure SM58 because no matter what PA system I used; I can always count on this mic to be excellent. 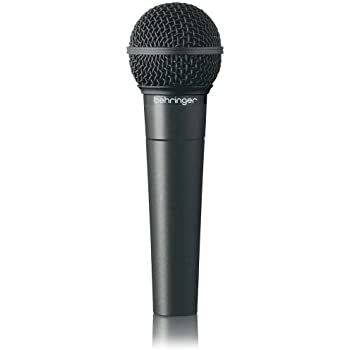 You can find microphones that are brighter or darker using the same setting as the Shure SM58. It's a personal choice. 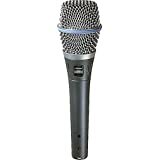 I just love how easy it is to work with the Shure SM58 whether you're adjusting sound for outdoor or indoor gigs to find a great sound.